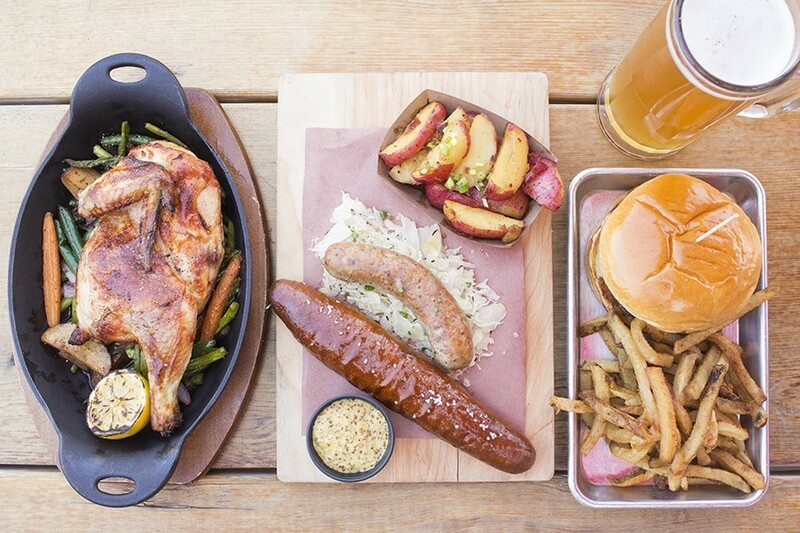 Das Bevo's offerings include the brathendl, the "German Board" and a burger. 4749 Gravois Avenue, 314-832-2251. Mon.-Thurs, 3-11 p.m.; Fri, 3 p.m.-1 a.m.; Sat. 11-1 a.m.; Sun. 10 a.m.-11 p.m.
At the corner of Gravois and Morganford, a St. Louis icon has been resurrected in the heart of south city's Bevo Mill neighborhood. 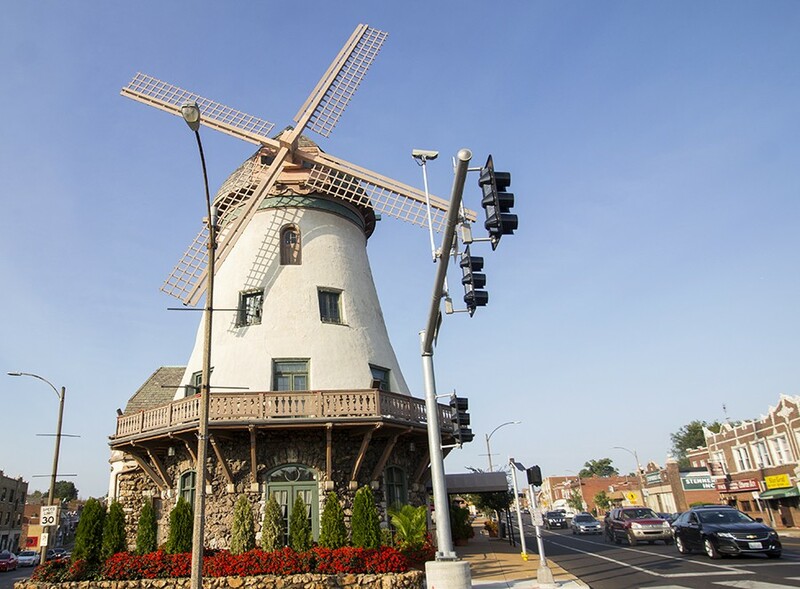 No, it's not the eponymous windmill, a landmark that dates back to the days when August Busch Sr. needed a pit stop on his journey from his Soulard brewery to Grant's Farm. That's thriving again too, though in some circles, it is dwarfed in popularity by the other legendary specimen that has risen from the ashes of the formerly defunct property: the cheddar and chive biscuits. For anyone who has frequented the Bevo Mill at any point in its storied history, its cheddar and chive biscuits made an impression as big, if not bigger, than the windmill itself. Crispy like a scone, the drop-style biscuits are a composite of cheddar and chive-flecked crumbles that, from the outside, seem to defy the laws of physics in their adhesion. The reason they stick together, though, is apparent when you break one open, revealing a soft interior that's laden with so much butter it's almost creamy. These golden beauties don't just make you say "mmm." They inspire an almost religious devotion that will send you to your knees to praise whatever lord you pray to for making them available. The Bevo Mill is a landmark. For years, these biscuits were about the only thing the Bevo Mill had going for it. 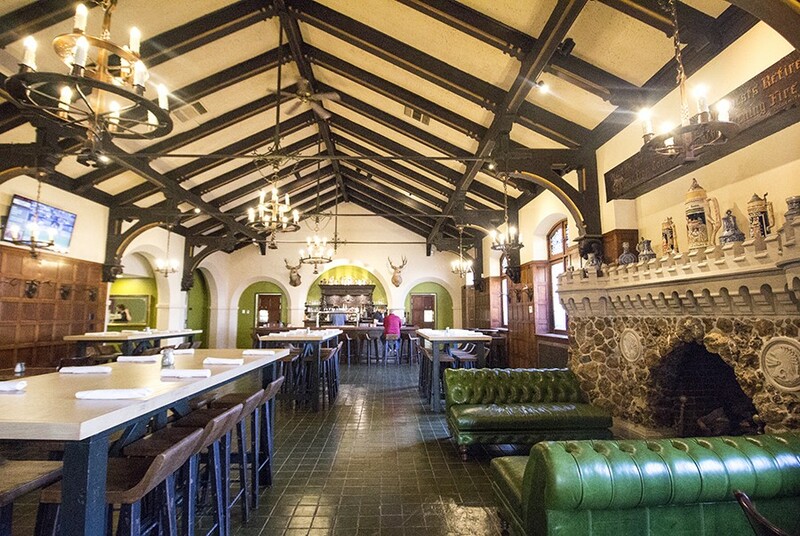 Once a private rest stop and watering hole for the Busch family, the century-old landmark eventually turned into a German restaurant best known for its brunch service. 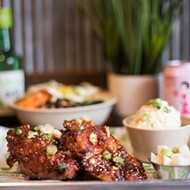 As business waned, the restaurant reduced its hours to Friday evening and a Sunday brunch that hung on in popularity thanks to the famous biscuit recipe. 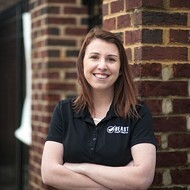 Eventually, a catering company took over the building and discontinued service altogether, turning the kitchen into a commissary for its off-site events business. It seemed as if the iconic restaurant, and those famous biscuits, might be gone forever. 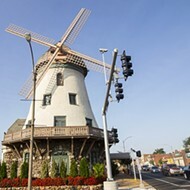 During this transition period in the late aughts, the building itself faced an uncertain future after the Belgian-based InBev bought the Bevo Mill's owner, Anheuser-Busch. With the acquisition, InBev inherited the landmark and donated it to the city of St. Louis in 2008, though that stewardship did not translate into anything meaningful. The catering company that occupied the kitchen limped along under the city's ownership until it finally pulled out in 2009. The lights went out, the doors locked and the mill ground to a halt. It took seven years, but finally, last March, the city put out a request for proposals that solicited pitches from developers willing to spend big bucks restoring the space. The winning bid came from Pat and Carol Schuchard, a former Washington University painting professor and artist, respectively, whose vision for a combination restaurant, biergarten and event space was deemed to best utilize the space while honoring its legacy. The Schuchards, whose other projects include the event spaces Majorette and the Boo Cat Club, invested several million dollars to combat general deterioration and layers of prior, dated renovations. It took them over a year, but they were finally able to welcome the first guests into the new and improved Das Bevo this past May. Renovations have restored the mill to its former glory. The Schuchards' renovation is nothing short of stunning, a fact that is evident even before you step foot inside. 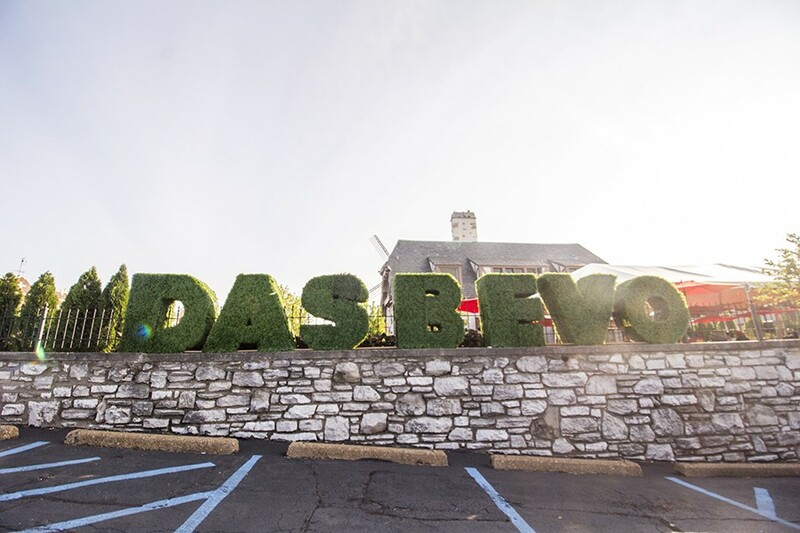 Topiaries spelling out the name "Das Bevo" greet you as you enter the mill's outdoor space from the patio, and whimsical metal sculptures decorate the area. On its eastern side, a mix of umbrella-covered patio and picnic tables provide ample outdoor seating; to the rear of the building, a massive covered biergarten, packed with picnic tables, an outdoor bar and an area for bands, doubles the restaurant's seating. A bright red vintage firetruck is not simply decorative: It serves as a de facto playground for the numerous kids running around the family-friendly spot. As lovely as the outside is, the interior is positively breathtaking. 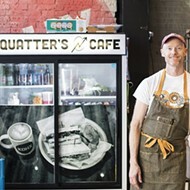 The Schuchards did not so much renovate the space as restore it to its former glory. 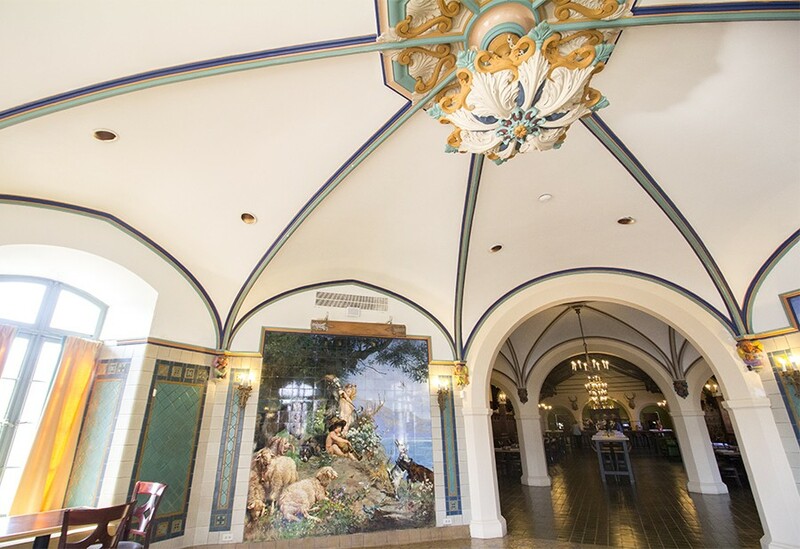 Tiled murals of cherubs decorate the circular room underneath the windmill, while the main room looks like a lofty bierhall straight out of Bavaria (or, as my daughter noted, bears a striking resemblance to the tavern in Beauty and the Beast). Game trophies from the Busch family collection decorate the room, vintage chandeliers hang from soaring ceilings, and a large fireplace made of rocks from Grant's Farm gives the room a rustic ambience. The bar, which the Schuchards dug out of an old cooler in the basement and restored, drives home the historic feel. Soaring ceilings provide a measure of grandeur. For all that they bring to Das Bevo, the Schuchards are developers, not restaurateurs. They wisely partnered with Mike Johnson's Sugarfire Events to conceptualize Das Bevo's food program. A little over a month ago, that partnership ended; chef Christian Bailey now heads the kitchen, executing a bill of fare that honors the space's German legacy without being overly literal. Sure, you'll find wurst and kraut at Das Bevo, but it's served as an appetizer in the form of deep-fried "Kraut Balls." The fritters are studded with fennel-kissed sausages, sauerkraut and cream cheese that oozes out when pierced. The dish is served with a side of rich beer cheese sauce, though there's enough goo inside the balls that you won't need it. Save that sauce for the housemade pretzels, perhaps the Platonic ideal of the form. The long, malty sticks glisten with salt and characteristic pretzel sheen. Served steaming hot, they are wonderful alone, but that accompanying beer cheese sauce is so decadent and tangy you're tempted to shoot it straight from the ramekin. The kraut balls' backup version might come in handy if you do. 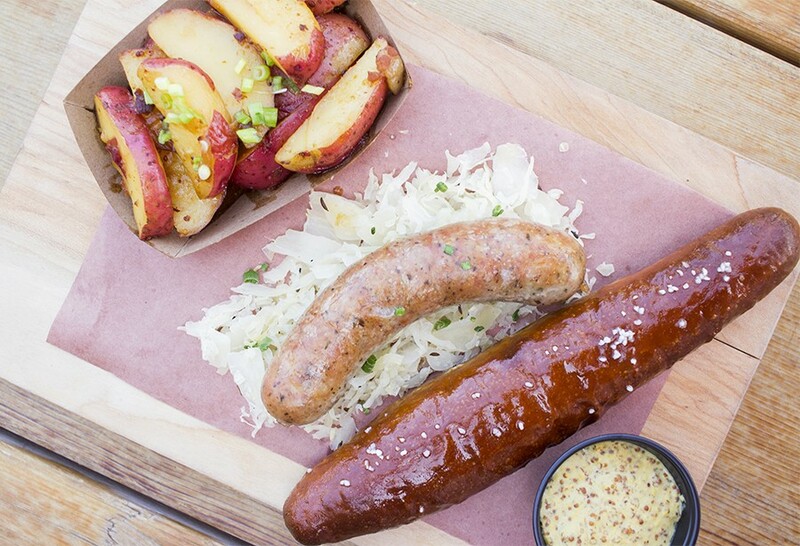 An ultra-traditional "German Board" pairs G&W bratwurst with sauerkraut, a pretzel and spicy beer mustard. The highlight of the dish is Das Bevo's German-style potato salad, which takes the expected vinegar-coated potatoes and crosses them with the porky decadence you find at Sugarfire. Slivers of skin-on red potatoes drip in warm bacon grease and brown sugar-infused vinaigrette, which pools at the bottom of the bowl like the drippings off a hunk of Carolina pulled pork. It's magical. Das Bevo's grilled chicken sandwich is another nod to the smoker. A grilled breast, tossed in sweet and tangy barbecue sauce, is topped with red onion and molten Gouda cheese, then served on a soft pretzel roll. It's straightforward, as is the bratwurst, which subs out sauerkraut for an onion and beer cheese topping in a pleasant twist. 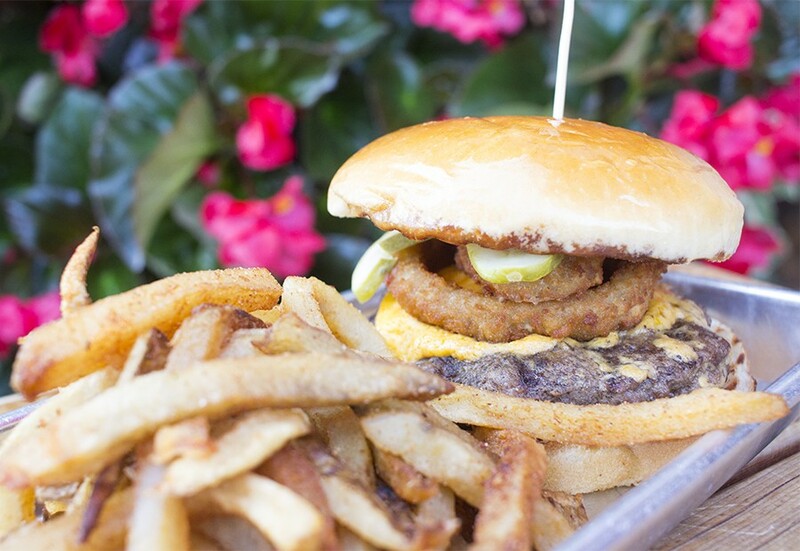 The "Das Bevo Burger" includes a half-pound patty, pub cheese, pretzel-breaded onion rings and pickles. Without cheese, the "Das Bevo Burger" would be a respectable, well-seasoned burger. Covered in pub cheese, it's outstanding. 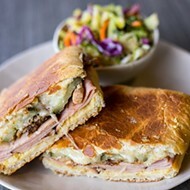 Rather than a slice of cheese to simply cap off the beef, the liquid cheese sauce gets into every nook and cranny so that each bite is equal parts meat and molten, beer-infused cheddar. It's a work of genius. Entrees include a classic German brathendl, half of a spit-roasted chicken that proved succulent but underseasoned. The pork schnitzel was crisp and flavorful, though the accompanying beef-bacon-bratwurst gravy and melted Gruyere was a bit over the top. You should probably stop at eating half unless you've been cleared by your cardiologist first. 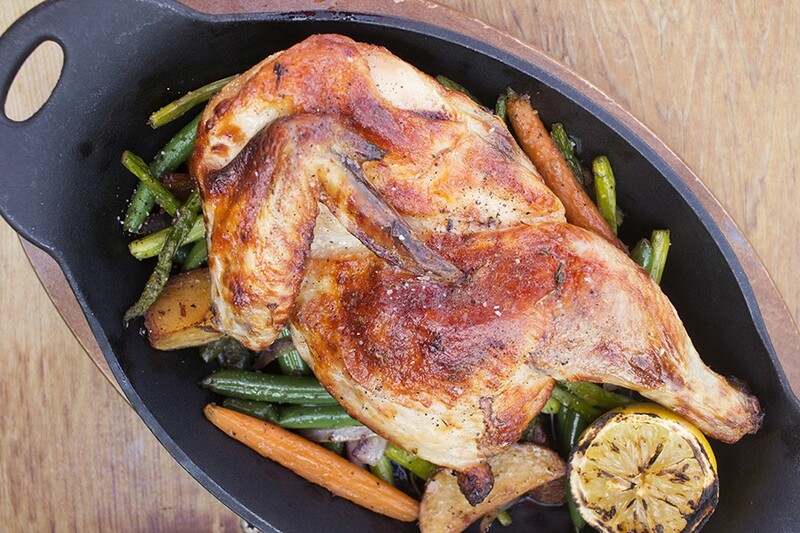 The brathendl is a classic German presentation of a half spit-roasted chicken with seasoned veggies. Das Bevo's brunch carries on the tradition of delightful weekend dining with such decadent treats as a Dutch baby, cooked in cast iron, smothered in warm cinnamon apples and served with a scoop of vanilla ice cream like a deconstructed pie. If the Dutch baby makes you feel like you're getting away with something by eating ice cream for breakfast, "Dasbigassburrito" will make you feel like you've committed a felony. The massive wrap, filled with bacon, sausage, eggs and fried potatoes, is deep-fried (because why not? ), then covered in that ubiquitous beer cheese for a dish that is camera-ready for Man v. Food. 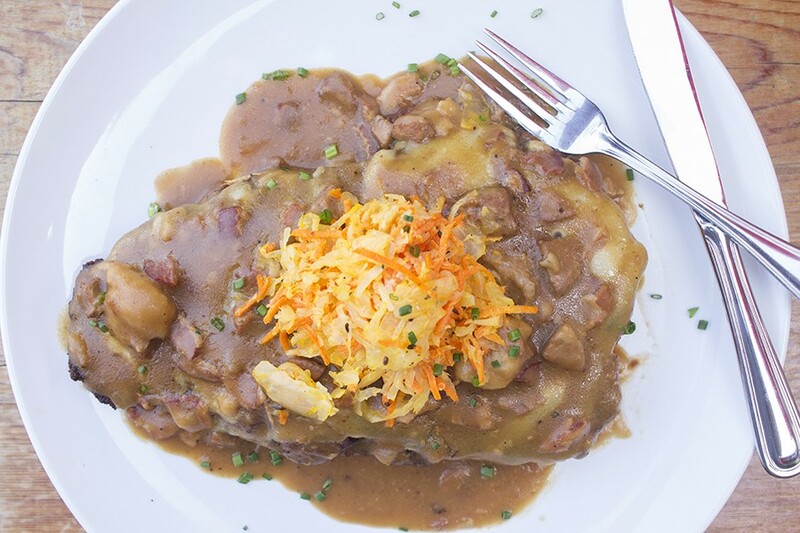 The pork schnitzel is smothered in beer bacon bratwurst gravy and melted gruyere, then topped with carrot kraut slaw. Finally, "Chicken Schnitzel and Waffles" sounded like a gimmick, but was one of the tastiest riffs on chicken and waffles I've had the pleasure of eating. A chicken breast, pounded thin, is coated in seasoned breading, served atop a vanilla-scented waffle and drizzled with just a touch of maple syrup. It's hard to imagine wanting anything other than the schnitzel for brunch, but then those chive and cheddar biscuits arrive, and all other thoughts go out the window. Thankfully, they are as good, if not better, than ever. Just like the Bevo Mill.